Digital & Analog Recording Media: Digidesign ProTools version 6.7 HD3 system--the most powerful digital audio workstation on the planet--with two Digidesign 192 interfaces with expansion cards, providing 24 input / 24 output--and with plug-ins too numerous to mention. Plus Virus, Reason, Rebirth, all major reverbs. Sony APR 24 analog 24 track 2" machine. TASCAM DA-88 digital 8-track. Panasonic SV-3700 and SV-3800 DAT machines, with Troisi A/D conversion. Ampex 351 two track analog deck (1962) with Inovonics replacement electronics. Akai S-5000 sampler. Performer, Deck, Cakewalk Metro 4. Toast. Console: Trident 80-B: 30 input/ 24 buss/ 4 band EQ/ split fuction with 24 monitor channels of 3 band EQ (all recruitable as additional input channels), fully reconditioned, with chips upgraded and output section redesigned and built by Trident maven Paul Fucile of the Marine Biological Laboratory, Wood's Hole, MA. Monitors: Genelec 1031A, Yamaha NS-10 S, Custom-built all tube headphone reference amp with Sennheiser MD-580 headphones. Also recently installed HDS-16/HRM-16 Furman Remote Mixing System for Headphones, allowing the artist to create their own complete mix at the headphone location. Keyboards: Steinway B, 7-ft. Grand Piano (1927); Hammond B-3; Leslie 251; Wurlitzer electric piano; Wurlitzer tone center organ; Hohner Clavinet, Vox Continental Organ, Kurzweil; Korg M-1; Casio; Yamaha. 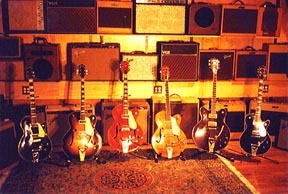 Guitar Amplifiers: FENDER (tweed):Twins, Harvard, Deluxes, Tremolux, Supers, Bassman; FENDER (brown): Vibroverb, Super, Pro; FENDER (black): Twin, Showman, Vibroverb, Deluxe Reverb, Bassman; FENDER (new): Vibro-King, '65 Twin reissue, Bassman reissue. 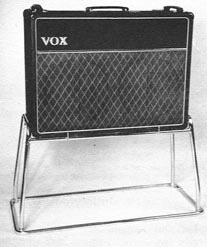 VOX: AC10, AC15s, AC30s. MARSHALL: '68 plexi 50watt head, reissue plexi head, Popular, '68 Bass cabinet. AMPEG: B-15 Bass amp, Reverborocket, Reverborocket II, Jet,Gemini VI, Echo-Twin prototype, VT-40, V4B, V2. SILVERTONE: 1482s. MAGNATONE: 260, 280. SUPRO: Thunderbolt 1x15, Champ type. MATCHLESS: DC-30 and 2X12 cabinet. KENDRICK: Champ 118, Do-Awl, Texas Crude 35, 4000 head, 2112. GIBSON: Falcon GA19RVT, Stereo GA77, 1X15 Pro type Maestro. MESA: Blue Angel. VICTORIA: Super, Double Deluxe. 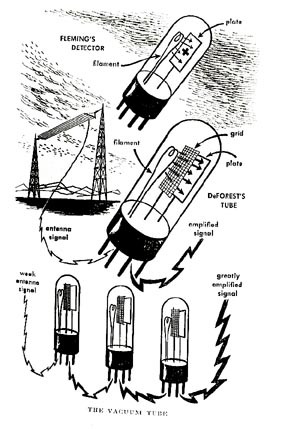 CAGE: 30 Watt Head. TRAINWRECK: Climax. SONICCORD: SWW, Toad, 4x12 cab. 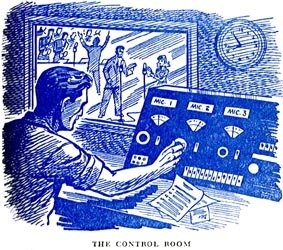 Microphones: Telefunken U-47; Audio Technica: 4050, 4051 (two), 25 (two), 33a (two, mounted on ceiling); Neumann KM 88; AKG: tube, 414 TLII (two); Sennheiser: 421 (three), 504 (three), and 409; Spieden stereo ribbon mic; Josephson open capsule condensors (matched pair); Earthworks 40K (matched pair); Shure SM57s, 58, and bullet; Beyer M69; RadioShack PZMs and tieclip mics; assorted ancient no-name mics. Drums: Rogers sixties kit, Slingerland Radio King snare.